If you are a graduate of this school from any year, please join this page and upload your story and photos Make sure you include your graduation year (class of year). Hello, I am Michael Harman and I graduated from George Washington High School in the Class of 1967. During my high school days I was a Compass yearbook photographer and Surveyor newspaper photographer. Right after High School I worked for the Chesapeake and Potomac Telephone Company for a while then enlisted in the United States Air Force. I spent 20 years there as a photographer. After this I went to a trade school and became a programmer in Dallas Texas working on the IBM AS/400 Mid Range Systems. I also did system level programming in OS/400 and CL/400. I then consulted for IBM doing system upgrades in the Dallas Texas area. I later worked at two companies as the Computer Room Manager and Manager of a Computer Support section in Arlington Texas. I now live in beautiful Lapu-Lapu City, Mactan Island, Philippines. 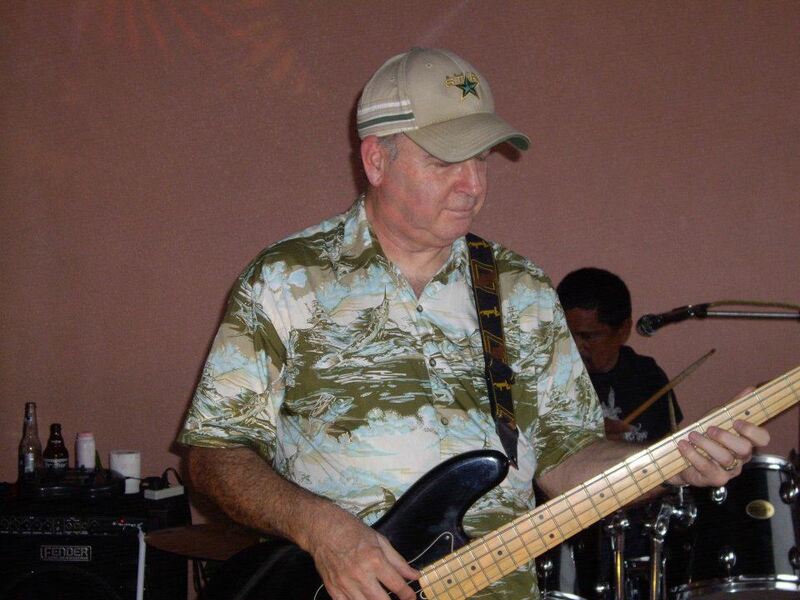 In the late 1970s I learned how to play a Bass Guitar and have been in two bands here in the Philippines. Here are a few links to my music videos. 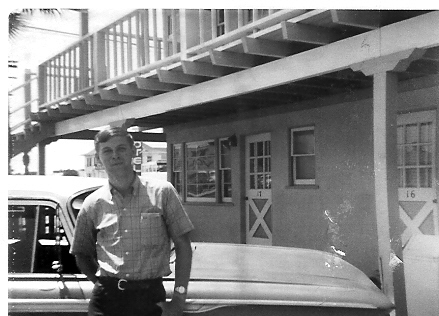 This is a photo taken of me must after I joined the USAF in 1968. Michael Harman today at 67 Years of age. Scan my Compass Yearbooks, 1964, 1965, 1966, 1967 and upload photos. “Francis was posthumously awarded the Congressional Medal of Honor for aiding and assisting in the evacuation of wounded Marines from Sanae-Dong during the Korean Conflict. The City of Alexandria named a High School in his honor and the Navy named one of their ships the USS Francis Hammond. Francis Colton Hammond was born November 9, 1931, in Alexandria, Virginia, the son of Harry C. Hammond and Elvira Jenkins Hammond. While still in high school, Francis Hammond worked for his future father-in-law’s construction company and played guitar in a band, performing at local events. After graduating from George Washington High School in Alexandria, he worked with his father at Timberman’s Pharmacy, an Alexandria landmark owned by his uncle. 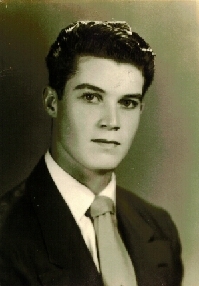 Although planning to become a pharmacist, Francis Hammond decided to join the Navy on March 20, 1951.With the realization that he would soon be shipped out to Korea, he requested and was granted permission to marry his high school sweetheart, Phyllis Ann Jenkins on June 19, 1952. 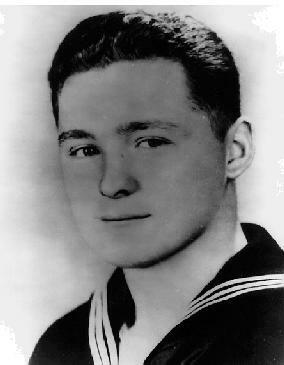 Hospitalman Francis Hammond received his orders to Korea and arrived there on February 1, 1953. After heroic efforts to assist his fallen comrades and refusing orders to withdraw even though wounded, Francis Hammond was killed in action on March 27, 1953, two weeks prior to his scheduled rotation out of the combat area. His son, Francis C. Hammond, Jr., was born seven months later. Hospitalman Francis Colton Hammond was laid to rest with full military honors in Arlington National Cemetery. The Medal of Honor was presented to his wife and infant son on December 30, 1953. John attended some military schools before the family moved to Alexandria Virginia and lived at 3 East Oxford Ave in the Del Ray section. John attended George Washington High School, Class of ‘53. In high school, he played in several bands. 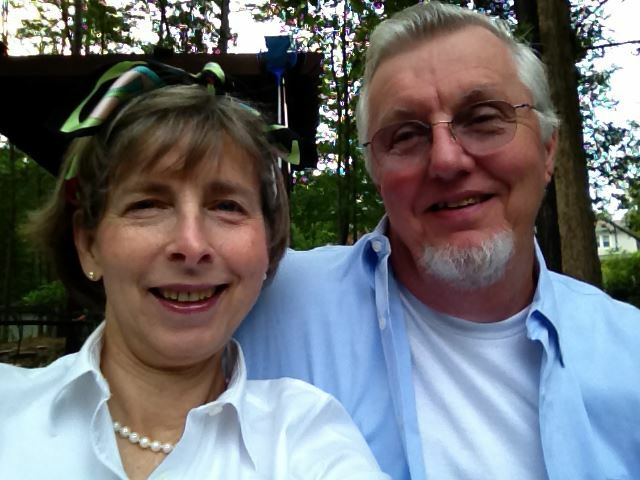 John married his high school sweetheart, Susie Adams. They had two children: Jeffrey; and Mackenzie Phillips. Mackenzie starred in the sitcom “One Day at a Time” in the 1970s. After high school, John and Susie lived at 917 Potomac Ave Apt B1 in the Belle Heaven area, and then John moved to New York, where he became a founding member of the Journeymen, a folk group that also included Scott McKenzie. While performing with the group, he divorced his first wife Susan of GWHS and took up with Michelle Gilliam, a waiflike beauty barely out of her teens, whom he later married. John and Michelle had a daughter named Chynna. He left the Journeymen and, with Michelle, joined two former members of a group called the Mugwumps, Doherty and Elliot. They performed briefly in New York, and then went to California where they were “discovered” by a record producer Lou Adler. They took the name the Mamas and the Papas, supposedly after learning that members of California biker gang the Hell’s Angels called their ladies “mamas.” John Phillips, his then wife Michelle Gillian Phillips, Denny Doherty and Ellen Naomi Cohen (Mama Cass Elliot), a student in late 50s/early 60s of GW High School of Alexandria VA, formed the Mamas and the Papas in 1965. The group broke new ground for having women and men in one group at a time when most pop bands were all-male or all-female. The group combined rock, pop and folk elements, sang clear and intelligent lyrics and had a rash of hit songs before disbanding in 1968. Two decades later, the band was inducted into the Rock and Roll Hall of Fame. They recorded their first single, “California Dreamin’,” in 1966. With an almost haunting melody, the song contrasted an upbeat California climate with a bleak northern winter. The group won a 1966 Grammy Award for best contemporary group performance for the single “Monday, Monday,” a song written by John and sung in their trademark harmony that evoke a feeling of foreboding that many feel on the first day of the workweek. 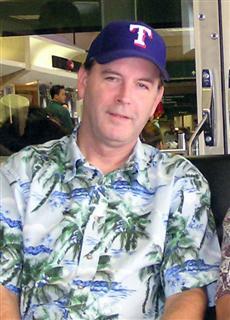 John also wrote songs for other groups, such as the Grateful Dead and the Beach Boys. He wrote a massive hit for Scott McKenzie call “San Francisco (Be Sure to Wear Some Flowers in Your Hair),” which became a kind of hippie tribute to the city by the bay. 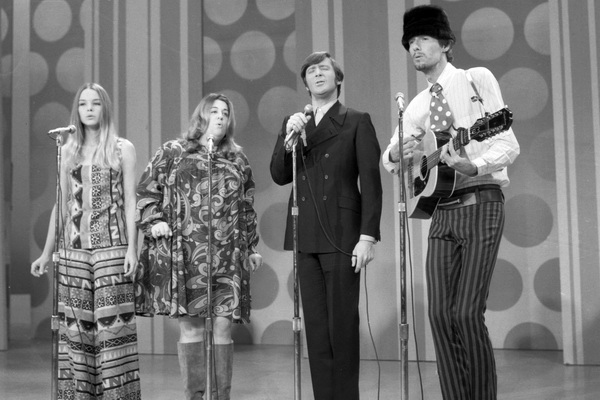 The Mamas and the Papas disbanded in 1968 following John and Michelle Phillips’ divorce. There were stories of sexual tension, drug and alcohol abuse and professional jealousy appeared. The group reunited briefly in 1971, then the members went their different ways. The Phillips briefly reformed the band in 1982 with Doherty, John’s daughter Mackenzie and Elaine “Spanky” McFarland, and the foursome toured playing oldies and new John’s originals songs. 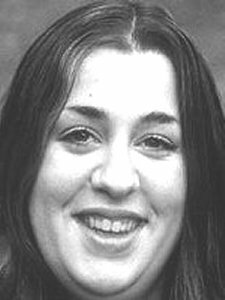 Mama Cass left to become a successful solo artist (she would die young, of a heart attack, in 1974). John, Michelle and Denney were involved in a romantic triangle that ended in a considerable acrimony. John help organize the legendary 1967 Monterey Pop Festival,. 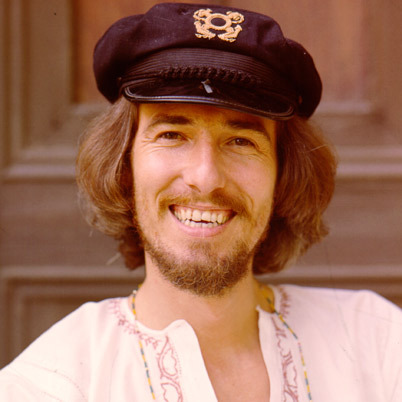 At which the Mamas and the Papas performed and which is crecxited with introducing Jim Hendrix and The Who to American mass audience. Mama Cass, the outsized and outrageous lady with the angel’s voice, probably achieved the most success, before dying in 1974. In later years, he tried organizing a new Mamas and Papas group, which never achieved anything like the popularity of the original version. Shortly before his death, it was reported that John had completed an album featuring all new material that was to be called “Slow Starter.” Another album, “Pay, Pack and Follow,” which he started 25 years before with Rolling Stones Mick Jagger and Keith Richards, was to be released in May 2001. Several of John’s children have gone on to achieve fame of their own. Mackenzie Phillips starred in the sitcom “One Day at a Time” in the 1970s until she was fired in 1982 because of cocaine addiction. She had seven stints in rehab over the next decade before declaring herself drug-free. Another daughter, Chynna, was a member of the pop group Wilson Phillips with two daughter of Beach Boys singer Brian Wilson. A Third daughter, Bijou, appeared at age 15 in a controversial 1995 advertising campaign for clothing designer Calvin Klein that feature teen models in provocative poses. She is an actress. 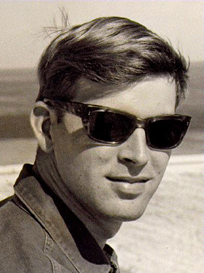 John was married four times; to Susan Phillips, mother of Jeffrey and Mackenzie; to Michelle Phillips, mother of Chynna; to Geevieve Waite, mother of Tamerland and Bijou; and to his wife at the time of his death, Farnaz, to whom he’d been married for six years before his death. John died of heart failure at the University of California, Los Angeles Medical Center on March 18, 2001. John left behind a wife, Farnaz; three daughters, Mackenzie, Chynna and Bijou; two sons, Jeffrey and Tamerlane; and two stepdaughters, Atoosa and Sanaz. My thanks to Bette Beagle for her help in writing this article about her brother. There are many GW graduates whose talents and achievements have caused great pride in those of us who went to school with them. One who reached celebrity status from my era was Don Beagle. I did not know Don in school, but I wished I had. While writing this article, I discovered he was a very special person. Don passed away on January 16, 2000. Don lived on Myrtle Street and was the grandson of RE and Elizabeth Knight, who owned Knights Hardware Store on King Street for many years. 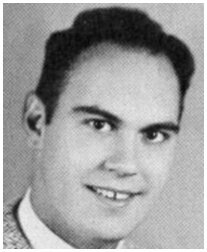 His high school career was interrupted when he quit school in 1947 to take a job, but he returned to GW later to graduate with the class of 1951. Some may remember that Don was on the rowing team. After graduating from GW, he attended American University, where he studied journalism. While there he worked at WOL as a disk jockey, hosting “Your High School Hit Parade.” He also worked for WRC at the same time that Willard Scott and Eddie Walker were there. WRC recognized that he had a lot of potential and sent him to Richmond to gain experience in broadcasting. It wasn’t long before Don had his own TV show, “The Dandy Doodle Show.” This show originated on WTVR in Richmond in the mid-fifties and later became “Dandy Beagle and Sooper Dog.” It appeared live twice daily on weekdays for 13 years and was the highest rated program in Richmond history. Don loved people, especially children, and spent his life giving of himself. He worked with Jerry Lewis and the Muscular Dystrophy Association and initiated “Carnivals for Dystrophy” in the Richmond area. Don served his country in the US Navy, and later worked for the Virginia Department of Health. He married Patricia Graziani in Richmond in 1956, and they had four sons, a daughter, and eight grandchildren. In May of 1999, Don was inducted into the Richmond Broadcasters Hall of Fame. It looks like WRC was right about his potential. Cass Elliot original member of The Mamas & The Papas, The Big Three, & The Mugwumps. Although often maligned in the press for her large size, it was Cass Elliot’s larger_than_life personality that endeared her to millions of fans worldwide. She was the quintessential 1960s earth mother with a powerful voice and an equally powerful personality. Cass Elliot burst onto the early ’60s Greenwich Village folk scene headlining in moderately popular groups such as The Big Three with Tim Rose and James Hendricks (whom she was married to briefly enabling him to avoid being drafted to service in Vietnam), and the Mugwumps with Zal Yanovsky, James Hendricks and Denny Doherty. It was Denny who would eventually introduce Cass to John and Michelle Phillips. 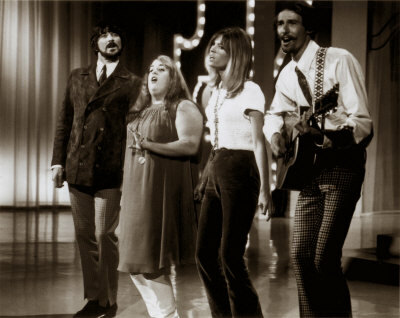 The four would go on to form the very successful singing group The Mamas & The Papas. After recording four gold albums (the group recorded a commercially unsuccessful fifth album, People Like Us in 1971), seven top_ten singles and a 1966 Grammy Award for best single (Monday, Monday), the group parted ways leaving each one to pursue solo careers. Cass took the break_up in stride as she had always wanted to venture out on her own and become a star independently of her Mamas & Papas fame. And what a star she was. She recorded six solo albums (3 for the Dunhill label and 3 for the RCA label) and had numerous charting singles. She headlined in Las Vegas, starred in several television specials and even guest hosted the Tonight Show no less than a dozen times. She had a starring role in the feature film version of H. R. Pufnstuf and guest starred on the Scooby Doo Cartoon Hour as the inheritor of a haunted candy factory. A brief musical pairing with Dave Mason produced one album that met with little commercial, but some critical, success. It was while on a tour in the UK, after having played two sold_out shows at the London Palladium, that Cass Elliot died of a massive heart attack in a London flat owned by Harry Nilsson. She was just 32 years old. Her legacy lives on through her daughter Owen Vannessa, herself a singer and raised by Cass’ sister Leah Kunkel, her many recordings and other work she has left behind as a testament to her great talent as a singer and entertainer. Her work is still enjoyed by many fans of all ages the world over. 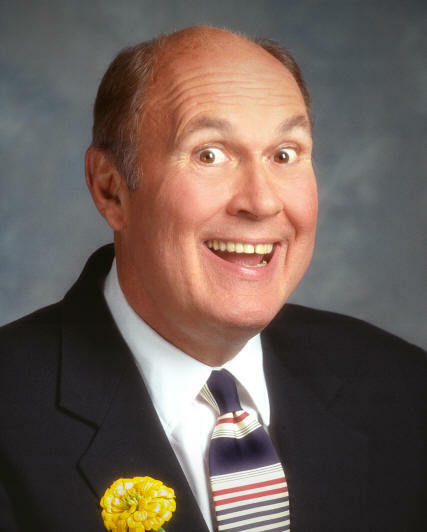 The ebullient Willard Scott has made mornings much brighter for millions of “Today” viewers since he first appeared on the program in March 1980, reporting on the weather. He joined “Today” after having performed similar duties, beginning in 1968, at WRC-TV, the NBC Television Station in Washington, D.C.
Scott is a great advocate of honoring centenarians. He wishes happy birthday to over-100-year-olds each Tuesday and Thursday mornings on “Today.” In addition, he substitutes for Al Roker as weather reporter. Scott has anchored coverage of Macy’s Thanksgiving Day Parade since 1987, and he traditionally appears as Santa Claus at several White House events for children. For more than 30 years, he has lighted the national Christmas tree in Washington, D.C.
Scott has made numerous appearances throughout the country, including at Carnegie Hall in 1989 with Skitch Henderson and the New York Pops; Symphony Hall in 1989, when he narrated “The Night Before Christmas” accompanied by the Boston Symphony; the Palace Theatre with George Abbott; and the Grand Ole Opry. In addition, Scott hosted the Family Channel’s “The New Original Amateur Hour” in 1991. He was also the first Ronald McDonald. He began his career with NBC as a page at the Washington station in 1950. At that time he was also a weekend disk jockey for Washington radio station WINX. He joined WOL Radio that same year and, with Ed Walker, formed The Joy Boys broadcast team, moving in 1953 to WRC-AM, the NBC Radio Station in Washington, D.C., and remaining there until 1972. They broadcast from WWDC, Washington, from 1972 to 1974. His weather reports were broadcast on WRC-AM from 1956 until 1972. Scott has distinguished himself with his public-service efforts. He has been named both Distinguished Virginian by the Virginia Association of Broadcasters (1990) and Washingtonian of the Year by Washingtonian magazine (1979). He also received the Great American Award from the Bards of Bohemia in New Orleans (1990) and was named Humanitarian in Residence by the National Society of Fund Raisers (1985). In 1985 he was recognized by President Ronald Reagan with the Private Sector Award for Public Service. The author of four books, Scott is a graduate of American University in Washington, D.C., with a B.A. in philosophy and religion. He is married to the former Mary Dwyer, and they are the parents of two daughters, Mary and Sally. Scott was born March 7, 1934, in Alexandria, VA.
Q. Who was the orginal Ronald? Guy was born on January 6, 1948, in Alta Vista, Virginia, and grew up in Alexandria, Virginia where he graduated from George Washington High School. 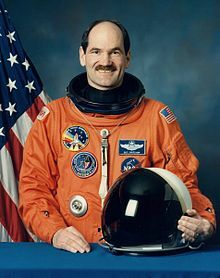 He was selected as a pilot astronaut by NASA; worked in many areas of Space Shuttle and Space Station development; then flew in space as the pilot of the Orbiters Atlantis and Columbia during 1984 to 1991. Now Colonel, USAF, retired. 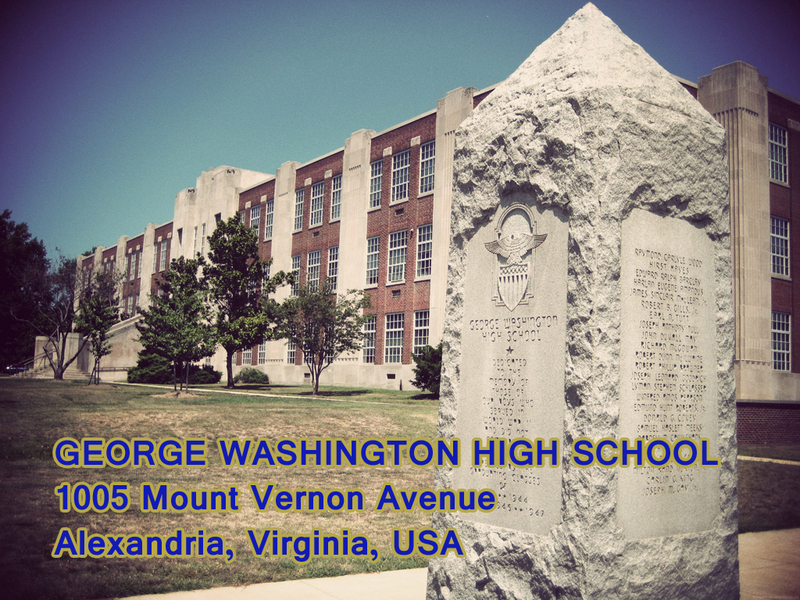 George Washington High School opened in the fall of 1935 at 1005 Mount Vernon Avenue, Alexandria, Virginia, merging the students from Alexandria’s two high schools. GW, as it was popularly known, replaced Alexandria High School which had been located in the 1400 block of Cameron Street, adjacent to Jefferson Elementary School. GW also replaced the George Mason High School which was built in 1925 in the town of Potomac (formed in 1908 when Del Ray joined St. Elmo). In 1930, Alexandria annexed this town and also acquired the high school which fronted 2500 Mount Vernon Avenue. Located adjacent to George Mason was Mt. Vernon Elementary School. With the opening of GW, George Mason High School became an annex to the nearby elementary school. 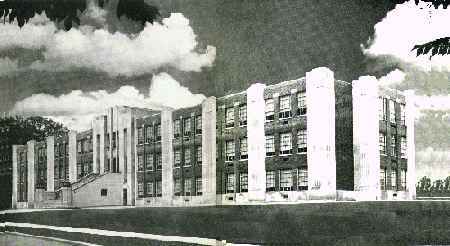 The original George Mason High School building still stands as part of Mt. Vernon Elementary. All of these high schools served the white population of Alexandria, as segregation was the law in Virginia until after the 1954 Supreme Court decision. Parker-Gray High School on Madison Street served Alexandria’s black population until 1965 when integration came to the city’s high schools. GW’s original main building, built in the distinctive art deco style with exterior ornamental carved stonework and vertically fluted stone columns, was a three-story T-shape with one long hallway on each floor, stretching the length of the front of the building. There were no south or north wings in 1935. On the first floor, extending from the center of the rear of the school, were the locker rooms for boys and girls, with a long hallway in between leading to the cafeteria. On the second floor above the locker rooms was the auditorium, distinctive and unique at the time and built with such good acoustics that, in the early decades it was used for performances by the National Symphony Orchestra and professional opera companies; it was also mentioned in the Virginia history books. Also on the second floor, located above the cafeteria, was the gymnasium, which, though small, was a great improvement over the gym facilities of the former Alexandria and George Mason High Schools. The gym also served the band and became known to many as the band room. 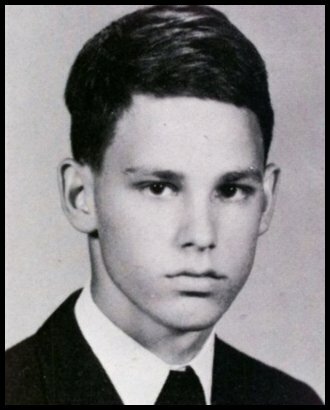 James Douglas “Jim” Morrison (December 8, 1943 – July 3, 1971) was an American singer-songwriter and poet, best remembered as the lead singer of Los Angeles rock band The Doors. 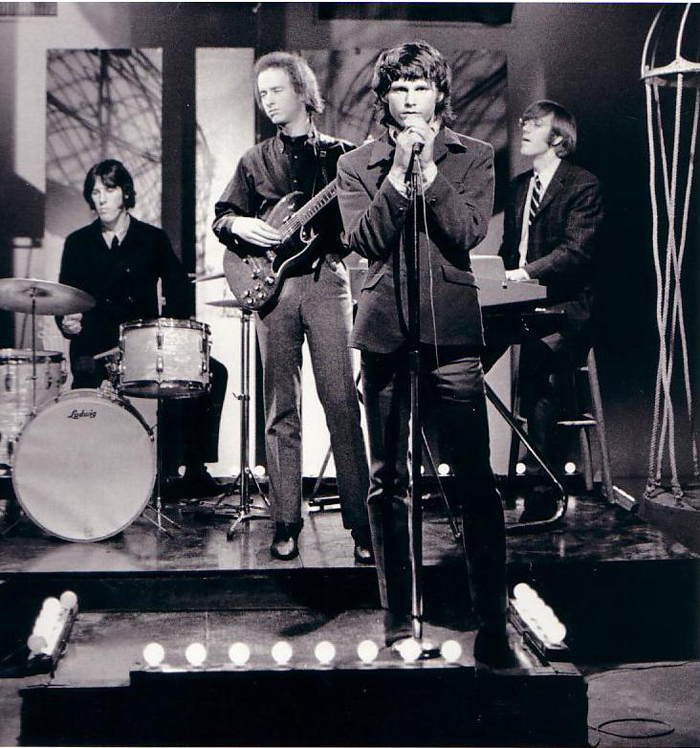 Following The Doors’ explosive rise to fame in 1967, Morrison developed an alcohol dependency which led to his death at the age of 27 in Paris. He is alleged to have died of a heroin overdose, but as no autopsy was performed, the exact cause of his death is still disputed, as well as rumors floating of him faking his own death to escape the pressures of fame. Morrison was well known for often improvising spoken word poetry passages while the band played live. Due to his wild personality and performances, he is regarded by critics and fans as one of the most iconic, charismatic, and pioneering frontmen in rock music history. Morrison was ranked number 47 on Rolling Stone’s list of the “100 Greatest Singers of All Time”, and number 22 on Classic Rock Magazine’s “50 Greatest Singers In Rock”. 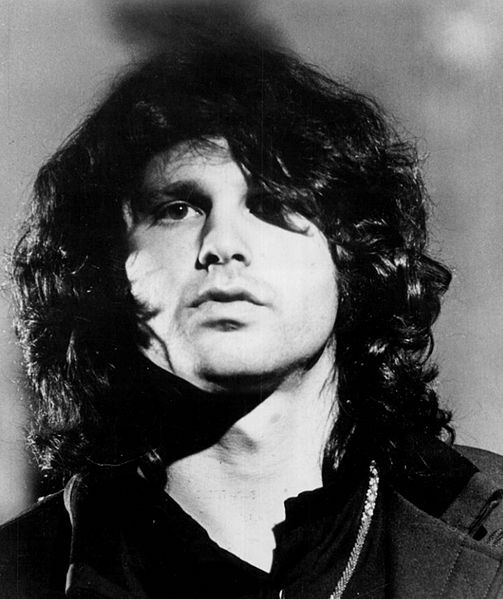 Morrison was known as the self proclaimed “King of Orgasmic Rock”.